We are looking to recruit thousands of employees to work in the communities where they live. These are temporary, part-time or full-time positions. Hourly wage is $17 an hour for Enumerator/Lister; Census Field Supervisors are at $18.50 an hour. Mileage is reimbursed at $0.58 per mile. No experience or educational requirement is necessary. E-MAILS THAT ARE SENT THROUGH THE WEBSITE ARE NOT MONITORED DAILY. IF YOU NEED IMMEDIATE ASSISTANCE CONTACT THE LOCAL POLICE DEPARTMENT AT 315-287-2121. The Village of Gouverneur does not accept credit/debit cards for payment. Therefore, we do not accept payment by phone. The only method of payment are cash, check or money order. Sorry for any inconvenience! The Village of Gouverneur is rich in history and tradition. This website is designed to inform the public of the many assets in this village, from the village government offices that maintain the ongoing business of the village to the recreational opportunities right here in Gouverneur, NY. 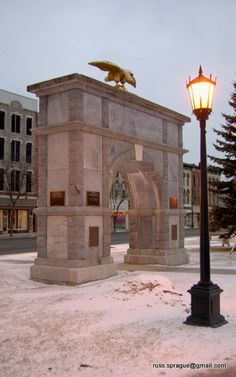 For information on Gouverneur follow the links to visit the Gouverneur Chamber of Commerce or the Town of Gouverneur site. All Regular Village Board Meetings are conducted the third Tuesday of each month at 7:00 p.m. in the courtroom of the Municipal Building. Zoning and Planning Board Meetings are conducted on the second Thursday of every month. IF THERE IS NO BUSINESS FOR ZONING AND PLANNING BOARD FOR THE MONTH, MEETINGS WILL BE CANCELLED.